A legacy of the colonial rule, legal education continued to tread the beaten path till the early eighties, offered only those who held a Bachelor’s degree. As the domain gasped for innovative pedagogy, experts in the field batted for reforms for improving the delivery system. “For this, the Bar Council of India thought of attracting the talented youths towards legal education right after they pass out Class 12th board exams. The BCI proposed to begin a legal education as a professional programme in the undergraduate level itself,” says Dr R Venkata Rao, NLSIU Bangalore Vice Chancellor. “The idea was to establish standalone universities or institutions which could take care of the new professional law programme even as the three-year LLB programmes continued to be offered by the existing law colleges. BCI then chaired by Ram Jethmalani, and other luminaries, including V R Reddy, then Additional Solicitor General of India, and the then Chief Justice of India along with other academicians, were the key persons behind setting up of the first NLU in India,” adds Dr Rao. The then BCI Chairman, Ram Jethmalani, sent a missive to Prof. N R Madhava Menon who was teaching in Faculty of Law at University of Delhi in this regard. “The BCI asked the Attorney General, if the proposed law school could be recognised as a Deemed University under the UGC Act. After the attorney general’s assent, Prof. Menon was called back,” shares Dr Rao, as he adds, “This ended up with Bangalore chosen as the location for the first National Law School.”The defining moment in the history of India’s legal education was the enactment of National Law School of India University Act, 1986. Later, situations changed for the better. “After the ordinance became a law, it was known as National Law School of India University Act, 1986. This is how the NLU Bangalore got its name. The Act also helped in receiving two grants of Rs. 50 lakhs each from the Karnataka State Government and BCI Trust,” informs Dr Rao. After a few years, a group of State law ministers met at Bhubaneshwar and expressed concerns over deteriorating standards of legal education in India. 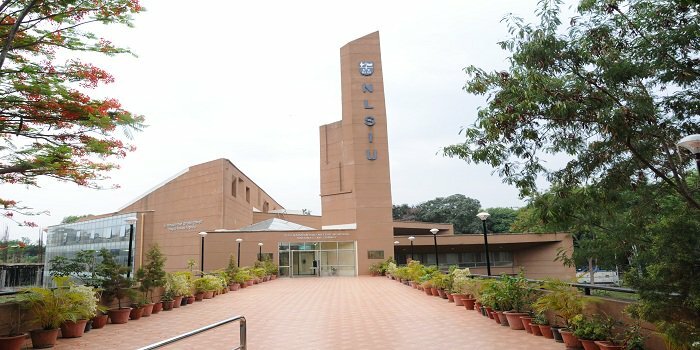 The group accepted one of the recommendations made by a judicial committee headed by Justice A M Ahmadi that law institutions modelled on NLSIU Bangalore be established in every state. “Sri N Chandrababu Naidu and the Government of Andhra Pradesh readily accepted the proposal to establish an institution par excellence in Hyderabad on the model of NLSIU Bangalore,” shares Dr Ranbir Singh, the Founder Director of NLU Hyderabad, currently the Vice Chancellor of NLU Delhi. In 1996, ‘National Society for Promotion and Advancement of Legal Studies and Research’ was formed and registered in Hyderabad. “The society requested the Andhra Pradesh Government to allot a building at Barkatpura, Hyderabad, for commencing the activities of National Academy of Legal Studies and Research University (NALSAR). Also a 50-acre land was allotted in Shameerpet village for establishing NALSAR. The State government also accorded administrative sanction of Rs. 1 crore for the establishment of the Hyderabad NLU for which it released an amount of Rs. 25 lakhs as the first instalment for incurring the expenditure,” shares Dr. Singh. The NLU model of pedagogy is far more rigorous than most of the 3-year LLB programmes. It comprises a highly intensive five-year integrated programme, where students fresh out of 10+2 are subjected to legal writing and research. NLSIU Bangalore began the concept of residential law programme, where even a local candidate has to stay in the NLU throughout the year. “This was because it was believed that it’s not only the classroom where all the teachings are done, as much of them knowledge is acquired beyond these classrooms. Students have to read lots of books; prepare assignments and write papers,” says Dr. Rao. There are lots of other benefits as well. “Students and faculty are kept on their toes throughout the year, including Saturdays and Sundays, with multiple conferences, examinations and assignments, which can be done only after classes and while living on the NLU campus,” says Dr. Singh on daily life at NLU Delhi. “The NLU-model of study has been unintentionally drawn from the rigorous Japanese Kumon method used to teach school children, a system that involves self-learning, and extensive writing and repetition exercises, so that basic concepts are firmly ingrained in student minds,” informs Dr. Basheer. Further, the emphasis on co-curricular and extra-curricular activities such as moot courts, debates and legal aid cells at the NLUs make them stand out from the other law schools. Technology is advancing in almost all walks of life and law is no exception. For, artificial intelligence is taking over rapidly and if a recent news item is to be believed, Infosys’ Mana (an AI programme) has effectively taken over the functions of a first-year law associate. “Indeed, we need less literal lawyers and more lateral lawyers. This essentially means that the kind of skills that future lawyers will need to have is quite different from what they’ve been vested with today. We have to augment their education if we have to create a new breed of legal leaders and luminaries,” foresees Dr. Basheer on future law graduates. The technology driven world would need ‘conceptual’ lawyers, and not those who are only skilled in reading and understanding case law and statutes. “For, machines will do this far better and in a far more superior manner. We need to create a new breed of ‘conceptual’ lawyers that are creative visionaries, who recognise patterns, have more EQ than IQ and perhaps use their right brain more than their left,” shares Dr Basheer. “We cannot deny the fact that information technology has brought legal knowledge, penal codes, sections and similar provisions in public domain but law is much more beyond this. The future will see legal experts in all sectors, be it technology, medicine, pharmaceutical companies, and so on. It will be a juxtaposition of law and technology. The best of law is yet to come,” sums up Dr. Rao. What is a National Law University? A National Law University is an autonomous law institution established in persuasion to second-generation reforms in Indian legal education. The reforms are sought by Legal Education Committee of the BCI and implemented by the council itself. These autonomous law schools with a special stature emerge with a NLU tag, and distinguishing themselves from the other central and State-run universities or law institutions. These special law schools carry either a ‘Deemed University’ or a ‘University’ status, which empower them to grant a degree in law. Further, the offered law degrees are recognised at par with University Grants Commission (UGC) standards. However, these law institutions are not entitled to any grants from the UGC and function as self-financing institutions.